The current United States Patent and Trademark Office (PTO) Director Andrei Iancu delivered a keynote address to the Chamber of Commerce during its Patent Policy Conference this week – on April 11, 2018. His remarks provide a rare glimmer of hope for the U.S. innovation economy, which has seen its patent system fall from 1st in the recent past to 12th in 2018. In his speech, Iancu laid out two primary reforms needed to reestablish the PTO’s core mission – to incentivize U.S. entrepreneurship and innovation. First, Iancu noted that we need a change in the tone of the conversation surrounding patents, innovation and the patent system as a whole. As Iancu put it, “[a] successful system cannot be defined by its faults,” and the focus for IP policy must be “on the positive.” While I don’t agree that a shift in tone from the negative to the positive aspects of the patent system will have much meaningful impact on policy making, I do agree that the PTO should shift its mission back toward helping inventors, not burdening them with multiple rounds of post-grant challenges to a presumably valid patent grant. The second, more concrete, reform Iancu touted was increasing the reliability of the patent grant “[b]ecause that is the key to incentivizing innovation. Without reliable patents, inventors like Dr. Eli Harari are less likely to risk it all in order to bring their new concepts to the market.” Throughout his speech, Iancu used Dr. Eli Harari, inventor of EEPROM technology and SanDisk co-founder, as an example of how a properly run patent office incentivizes risk taking and investment in bold and innovative ideas. Dr. Harari’s story highlights a sad truth – were he developing that technology today he would be far less likely to quit his cushy corporate gig and risk everything based on an unreliable patent protection. 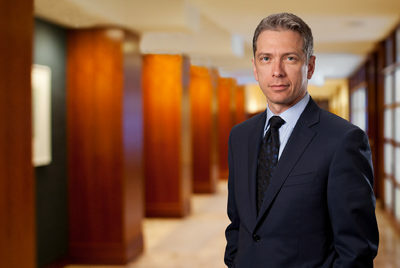 Iancu went on to address the two primary reasons cited in the Chamber of Commerce’s 6th Annual International IP Index as contributing to the increased uncertainty of a granted patent: (1) Subject matter eligibility under 35 U.S.C. Sec. 101; and (2) opposition procedures (primarily the IPR proceeding created by the America Invents Act). I applaud Iancu for having the common sense to recognize that the flawed patent eligibility standards imposed by recent Supreme Court cases ha made patents less valuable across the board. Multiple people looking at the same patent often reach a different conclusion using the same patent eligibility test. Furthermore, patents that are clearly directed to tangible inventions can always be simplified to some level of abstraction by a skilled patent attorney. This trend has manifested itself as a deluge of many unmeritorious motions by defendants to dismiss at the pleading stage by in district court infringement actions – yet another tool for infringers to avoid liability for stealing an idea. Even though this result suggests an unworkable standard, Iancu lamented that the PTO is limited by its statutory mandate and must apply Supreme Court precedent faithfully. 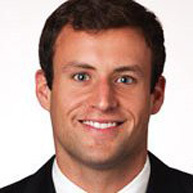 The PTO can, however, as Iancu noted, simplify the eligibility determination and provide a more predictable examination process for subject matter eligibility. I think Iancu should go a step further and continue his criticism of the Supreme Court’s harmful precedent. It’s unlikely that the Supreme Court or Congress will fix this mess any time soon, but Iancu can actively change the narrative on patents by loudly criticizing bad policy and law when either hinders the primary function of the patent office – incentivizing investment in innovative technologies. I agree. After all, the PTO is the office granting these rights in the first place. Iancu noted the gap between the examiners’ ability to find the same references that are used in district court validity determinations. He misses the boat on this point since it is clearly easier to locate prior art references years after patent examination during an infringement action. Ten to fifteen years often elapse between patent issuance and the filing of an infringement action. His observation does highlight that patent examiners, like small patent owners, face a resource deficit compared to large corporations, many of which spare no expense when it comes to attacking a patent they have been accused of infringing. Can you really blame them? The present state of patent law provides defendants with so many legal escape hatches long before an infringement determination can be reached and even more on appeal after a jury finding of infringement. On top of that, opposition proceedings can be initiated in parallel at the USPTO with an even greater chance of invalidating an inventor’s patent rights. We shall see if Director Iancu is able to implement any meaningful reforms at the PTO. I see his remarks as a positive first step toward recognizing the inherent value that patents are meant to provide – the incentive to take risk, be bold, and come up with new ideas that create more U.S. jobs. The technological dominance the U.S. enjoyed over the rest of the world during the 20th century can only continue in the 21st century and beyond if the U.S. takes a serious look at patent policy and the incentives it was always meant to provide.